It’s exciting to meet new people, even through a website on the Internet. My hope is that this website will be helpful to you and will introduce me and my services. My philosophy is that everyone’s trying their best to get through their day and that a relationship where two people can look at one person’s life is usually helpful to living a better, more satisfying and happy life. I have been a psychotherapist for over 35 years. I specialize in adults with relationship problems, difficult childhoods, trauma, anxiety and depression. I have had great success in helping people and deeply enjoy this process. I have two Ph.D.’s. The first is in clinical psychology from UCLA, where I was an adjunct professor. My second Ph.D. is in psychoanalysis, from the Southern California Psychoanalytic Institute, where I was also on the faculty. 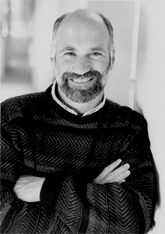 I’ve been a training and supervising analyst, faculty member, and chair of several committees at the Institute for Contemporary Psychoanalysis, where many excellent psychoanalysts are trained. 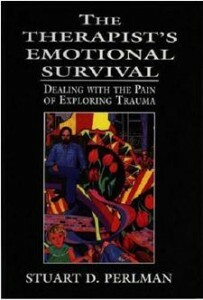 I have also written a book called The Therapist’s Emotional Survival: Dealing with the Pain of Exploring Trauma, and many articles published in academic journals. Please visit the rest of my website to get more information about me and my practice. Check out my Media Center to listen to a radio interview, see a video of a trauma session for a documentary, and read a short article on my treatment philosophy. You can also see information about my book, my bio, and my other publications.